With 1600+ participants competing in 35+ events for prizes worth Rs. 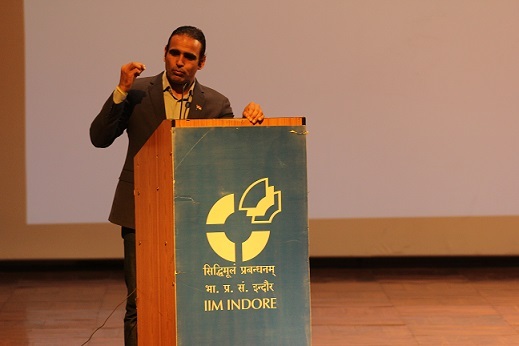 2.85 lakhs, Ranbhoomi’19 – The annual sports fest of IPM IIM Indore was held from January 18-20, 2019. Organized by the Five Year Integrated Programme in Management participants, Ranbhoomi this year witnessed a presence of numerous colleges from across the country. 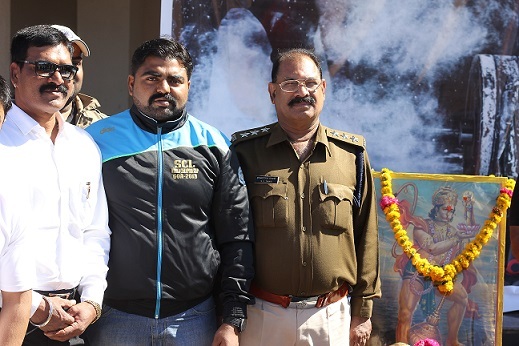 Shri Shesh Narayan Tiwari, Chief Superintendent of Police, Indore was the Chief Guest for the event for the closing ceremony, along with IPS Krishna Prakash. The first day saw a lot of zeal and excitement with the IIST team winning by 7 wickets against IIT-Indore at IIM Indore grounds and LNCT beating BSSS by 6 wickets, in the closed event of Cricket (sponsored by Holiday of Dreams). 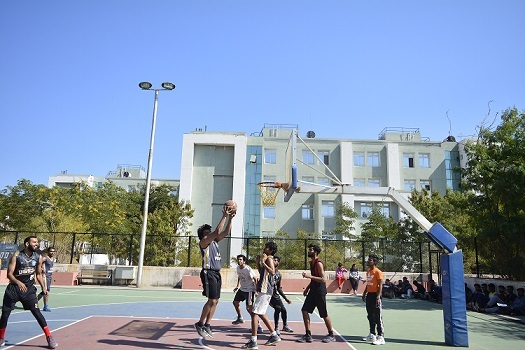 Barkatullah University team won the first match of Basketball against the IIM Indore home team; with two points in the lead and the final score standing at 28-26. 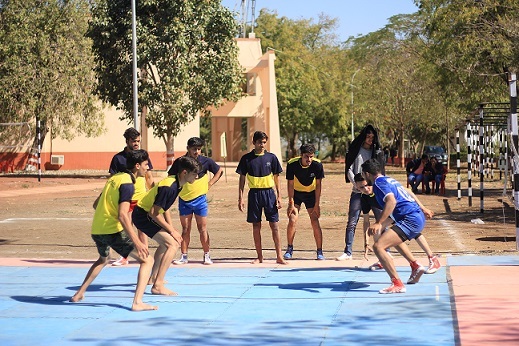 The matches of Kabaddi and Volleyball followed next with the IIST team winning against Robin Hood and the team from Sharda University beating CTW, to win the round-1 of these closed events. IIT-Indore won the event of Football sponsored by The Man Company against Oriental Group of Institutes. 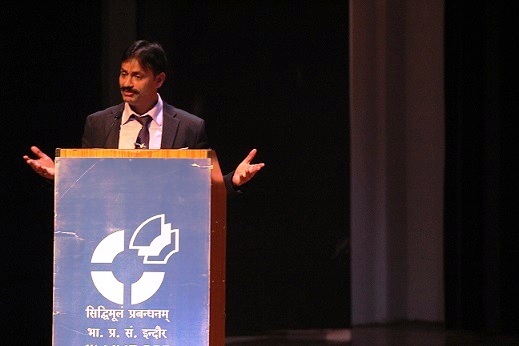 The day also saw a workshop conducted by SMC Global, one of the leading brokerage firms in India, as a part of the financial literacy initiative of this edition of Ranbhoomi. The day concluded with many promised informal events, a thrilling-fun-filled Poker Night sponsored by Adda52, wherein participants came in to try their luck while trying to win a buck, or more accurately prizes worth Rs. 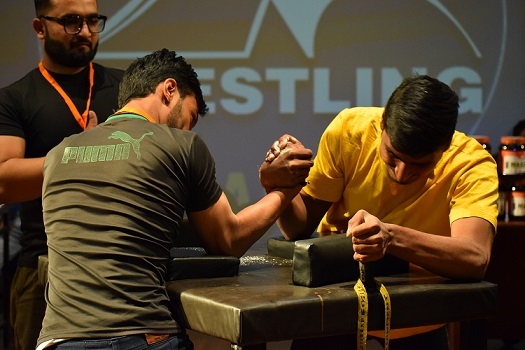 20,000.The highlight event of Ranbhoomi’19 Day-2 was the Strongman League, a national level event organized under the aegis of MP Strongman Association. The event saw participation from states across India in the events of Farmer’s Walk, Tyre Flip, Front holding and Car Deadlift. 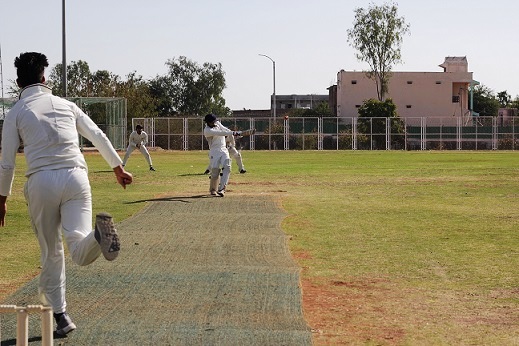 In the event of Cricket, the teams of Sharda University and LNCT Bhopal beat St. Xavier’s and IIST respectively on DAVV grounds in the quarter-finals. 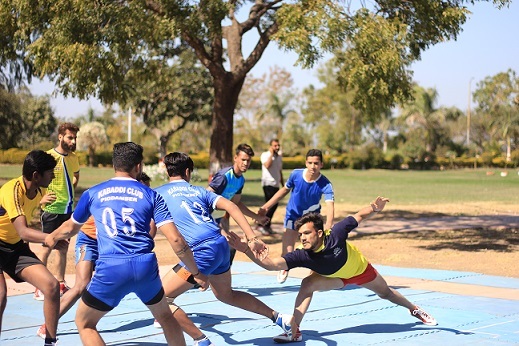 The team from IIST beat SIMS to become the Kabaddi Champions of Ranbhoomi’19. 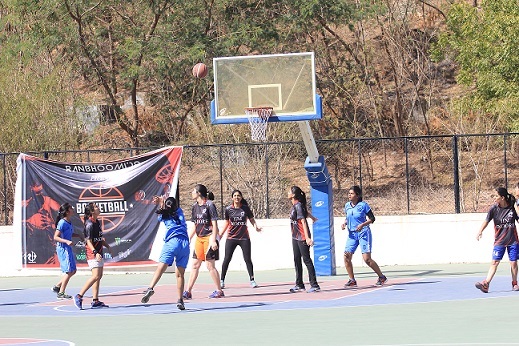 In the event of Basketball, IIM-I home team defeated IIFM and IIT-Indore and the IIM-I girls team defeated VIT Bhopal. Day-2 also saw CTW, Mhow defeating IMT in the event of Volleyball, and Chopade Saimira beating 35 participants to emerge winner in the Under-13 category Chess event. In conclusion to the enthralling day-2 of Ranbhoomi’19 was a night of Bonfire and Music, with hosts of informal events including a PUBG tournament and Human Dominoes and Gyro. 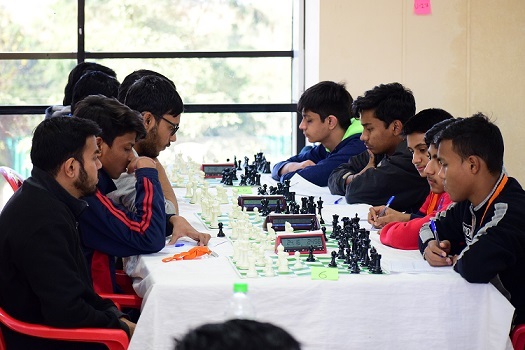 The spectacular 3-day long sports bonanza—Ranbhoomi’19, finally came to an end on January 20, 2019. The day saw final matches for a host of events at venues across Indore. 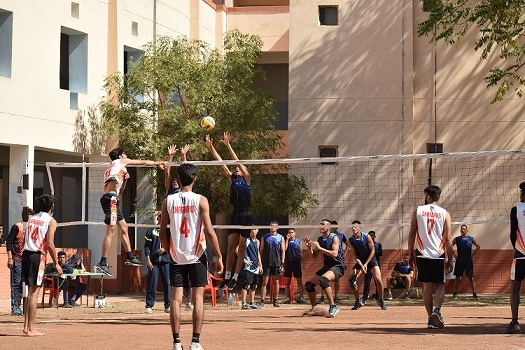 The champions of Ranbhoomi’19 were SGSITS in Badminton, BSSS in Basketball (Boys), team for Pioneer in Volleyball (Girls), IPS Indore in Table Tennis, team Event, Sharda Univ. in Cricket and in the sport of Football. Renaissance and IIM-I home team were declared as joint winners in the Basketball (Girls) event. The day also saw a Digital Marketing workshop organized by MakeIntern at the IIM-I campus which saw enthusiastic participation and engagement from the registrants. 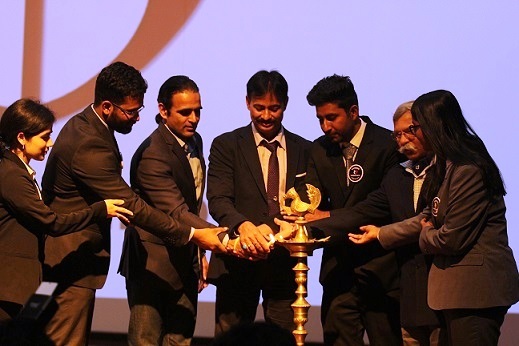 The closing ceremony of Ranbhoomi’19 held within the IIM-I campus saw IPS Krishna Prakash and Major Surendra Poonia as the Chief Guests. 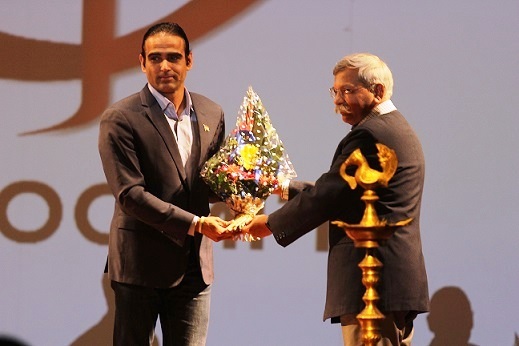 IPS Krishna Prakash is the only Indian to win the Ultraman World Championship and Major Surendra Poonia, VSM is an award-winning international sportsman and Limca Book Record holder. The ceremony was also graced by an eye-catching performance by the renowned Mallakhamb Artists of India, which left the attendees in complete awe. In a pleasant conclusion to the 3-day fest, followed the last informal event of Ranbhoomi’19, the DJ Night, where participants danced to the pleasing tunes of DJ Shafin and DJ Honey. Ranbhoomi hopes to grow and become bigger in the coming years.